Videos can make us smile, laugh, and even get emotional. However, videos deliver a stronger impact to viewers if you put some images or stickers in it. For instance, you can put a sticker to demonstrate the emotion that you may feel when you watch it. Or you can put a sticker which can make the video appear to be cuter. For this to be possible, you need to use some tools. 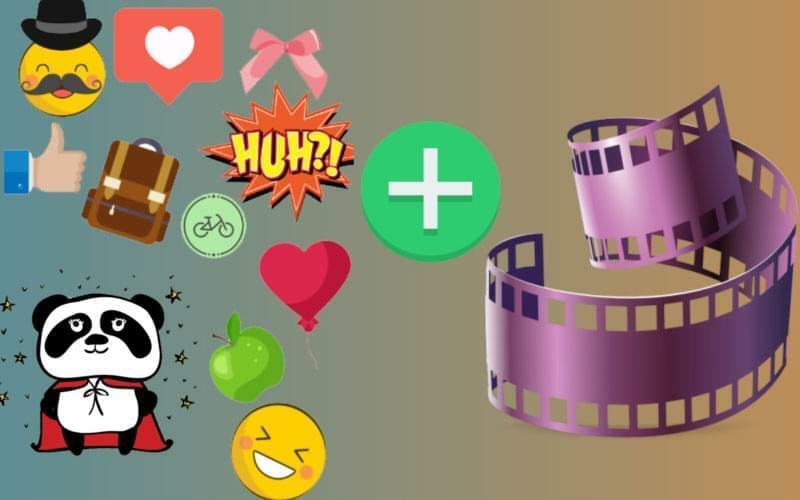 In this article, you can find the best tools to add stickers to videos. 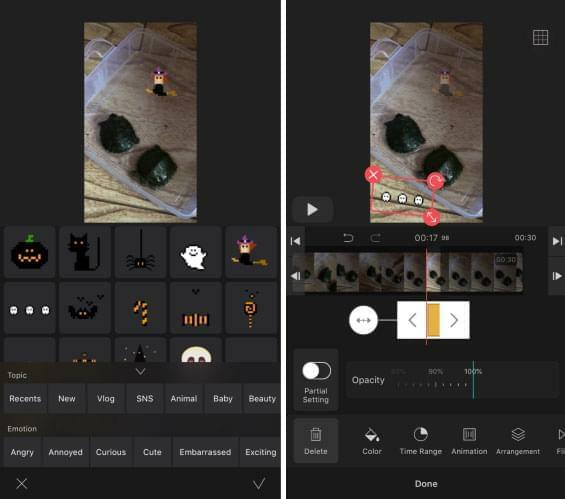 BeeCut is a professional editing tool which lets you make and edit videos. You can split, crop, trim, add effects, texts, watermarks, and overlays and more. Furthermore, you can also add any sticker that you want to add. Just simply download the sticker or image that you want to use from the internet and use this tool to incorporate it into the video. The best thing about this tool is that it produces high-quality videos. Whether you play it on PC, TV or phone, you can see the quality difference from among other editing software. Here is how to add stickers to videos using this tool. Download and install the app on your computer. Afterwards, launch it. Choose the aspect ratio for your video and then you can see the interface of the tool. Click the "Import" > "Import file" buttons so you can upload the video and the stickers that you need to use. Once uploaded, drag the video onto the timeline. Then drag the image or sticker onto the lower part of the timeline, right under the part where you want to put it. Add background music if you want to. Lastly, click the "Export" button to save the file on your computer. In case you don't feel like using a desktop app and you want an app that is simple and online based, just simply use VEED. Here you can add stickers to a video as long as there is an internet connection. Here is how you can add stickers to videos online for free. Visit VEED and then click "Upload Video" so you can add the video to edit. Once uploaded, simply go to "Stickers" and then choose from the available stickers. In addition, you can also upload your own sticker by going to "Custom." Once done, click the "Download" button and the video will start rendering. Input your email address and then click the "Download" button. Then your video will be downloaded onto your computer. 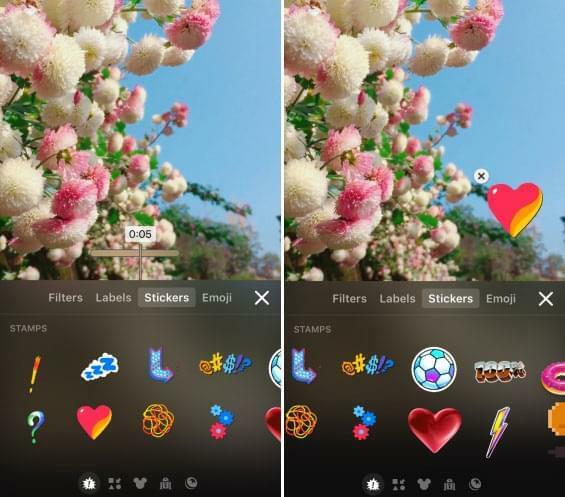 Apart from the fact that you can add stickers to videos online by using a desktop app, you can also add a sticker on your Android or iOS device. Just simply use VLLO. This has versions for both Android and iOS. In other words, you can simply download the app in the App Store and Google Play Store. Below are the steps on how you can use the app. Download the app on your phone and then launch it. Tap "Great Video" and then choose the video that you intend to edit. Tap "Next" icon and set the settings of your video such as the aspect ratio. Tap "Next" icon again. Choose from "Motion Stickers" to add some stickers into the video. Once you finish adding the stickers tap "Done", simply tap the "Export" icon and "Export." Another app for iOS users is Clips. This can also let you put sticker on a video with great ease. 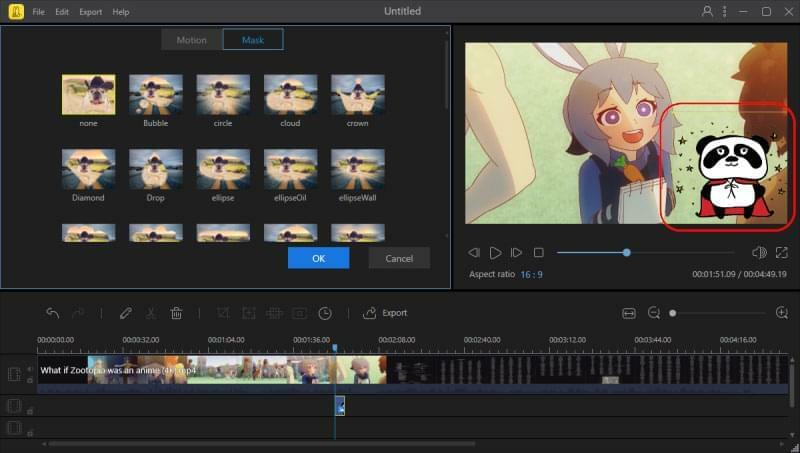 It is actually a video editing tool which is fun to use. Clips is developed by Apple and most Apple devices have this pre-installed. It is compatible with iOS 10 and above. Below is how you can use this app. Download and launch the app on your iOS device. Tap "Library" > "Albums" > "Videos", then choose the video that you want to edit. Tap "Effects" icon and then "Stickers." Choose from among the available stickers. Tap "Export" icon to save the file on your phone. Those are the best tools that you can use to add stickers into a video. You get different tools to choose from. In can be desktop, online or even mobile tools. Actually, all of these tools are pretty amazing. However, if you are searching for professionalism and high quality, then you should use BeeCut. BeeCut - Create Awesome Videos Effortlessly! Copyright © 2019 BeeCut Ltd. All Rights Reserved.